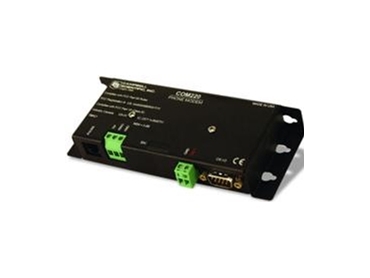 The COM220 phone modem from Campbell Scientific Aust allows users to communicate between data loggers and a computer through a public switched telephone network. With a wide operating temperature range and minimal power requirements, the COM220 phone modem is suitable for use at remote, unattended sites. A Hayes-compatible modem is required at the base-station computer, while a COM220 connects to the data logger at the field site through the CS/IO ports. Campbell Scientific Aust recommend using surge protects to block incoming electrical transients carried through the phone line.